A little before Puffy had his artists donning shiny suits and busting a move with their backing dancers, rapper M.I. and producer DJ Cutt – collectively known as Constant Deviants – were laying the foundations for a career that would span the 90s and beyond earning them veteran status. 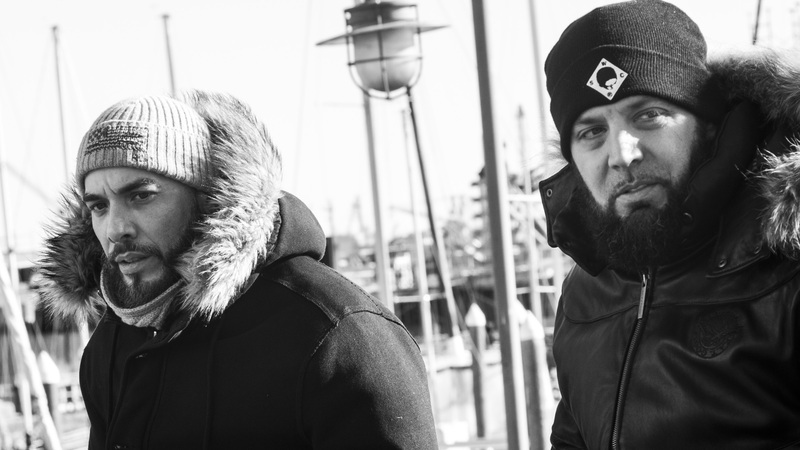 Like all veterans, the pair have fought their fair share of battles, earned their stripes and have ultimately triumphed in the much loved, ever changing and at times bewildering genre known as hip hop. Wanting to immerse himself further in the culture, M.I. would leave Baltimore on the weekends and head to New York. On one of these trips to the epicentre of hip hop, M.I. met DJ Cutt at a NY State College party. 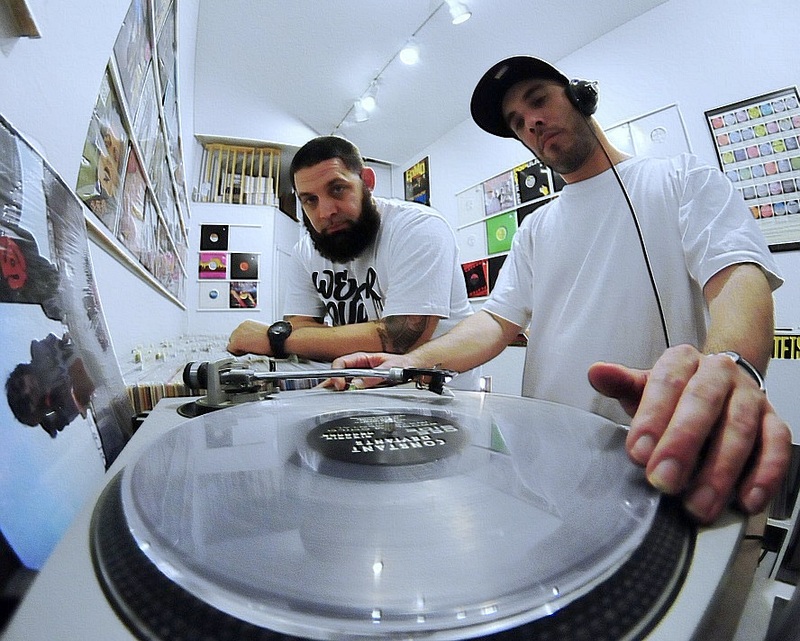 Joint freestyle and DJ sessions saw the pair cultivate a creative chemistry that would eventually give birth to their first single ‘Competition Catch Speed Knots’ in 1996. It was at this point the duo would come up against their first hurdle. Although the single was generating a decent buzz, the importance of having the right distribution became apparent. Although the fan’s couldn’t get their hands on the music, DJs showed incredible support and the duo went on to release two more tracks ‘Can’t Stop’ and ‘8th Wonder/Hustler’s Prayer’ in 1998 which earned them yet more acclaim. However, by then, M.I. noticed a shift in the industry. “At that time it was getting to the late 90s and everything was transitioning. New York hip hop was starting to be different and was starting to get more into that Ruff Ryders and Puffy sound. It was really about making a single that would make it to the radio,” explains M.I. By 2000, M.I. and Cutt had “dropped the Constant Deviants thing”. Cutt had established himself as an accomplished sound engineer and producer (working on Memphis Bleek’s debut album Coming of Age and other projects), and M.I. signed a solo deal at Arista after having offers from Motown and Loud Records. With “silly deals and budgets starting from $450,000 on the table” it would be easy to think the dream had been realised, but M.I. paints a different picture of being signed to a major label. “I kind of got lost in not making music I liked, because it was all about making a record that the record label would get behind and push as a single,” he says. So in 2006, M.I. and Cutt reunited and set up Six2Six Records. The vision was quite simple – bring it back to basics. “When we made the record label, everyone was doing so and so media group or so and so foundation; they were trying to make these music companies appear as if they were one of these big conglomerates. That’s not what we do, we make music and release music,” says M.I. likening the ethos of Six2Six to that of when Def Jam was “great”. “Most of these majors do not release physical copies any more. They don’t do CDs, vinyl or cassettes,” M.I. says proud of the fact Six2Six now has an ever growing fan base keen to snap up the new singles and reissues by independent artists put out by the boutique label. While the approach may seem as though the pair work in isolation, there is a clear symbiosis evident in the finished product which is why they remain a favourite of hip hop connoisseurs. Avant Garde is proof if any was needed that Constant Deviants are constantly working, constantly evolving and constantly flying the flag for hip hop deep-rooted in an era where the culture and authenticity reigned supreme. Avant Garde is released on Six2Six Records 12 May.